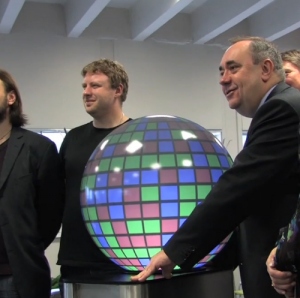 First Minister Alex Salmond visited the TechCube at Summerhall today to launch a new prize fund. The fund, which can be up to £50,000, is to be awarded to young entrepreneurs in a bid to launch or accelerate their business. In an economy where businesses are facing difficult times, this a great opportunity for new business start ups. Managing Director, Dr. Jamie Coleman discusses the First Minister’s visit and TechCube’s ambition to be Europe’s most significant tech hub.